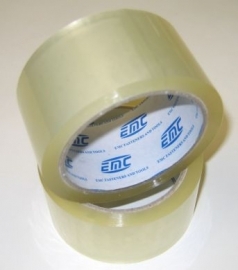 2" x 55yd Clear Packaging Tape. 36 rolls per case. High tensile strength, water resistant with excellent properties against impact, heat, cold and sunlight.